From the first second you operate your own business, you are building a brand. In fact, every visible thing you do with your company goes towards creating your brand. It takes a lot of time to build a solid and positive brand, but sometimes a rebrand is required to evolve the business. 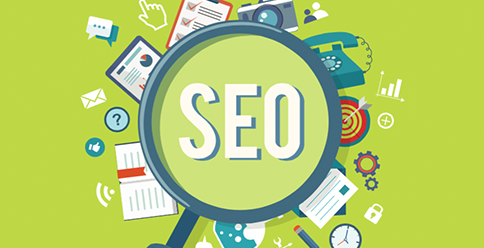 One of the biggest challenges faced when rebranding your business can be damaging your SEO. Follow our guidelines to help you undertake a rebrand without affecting your SEO. Following these steps can avoid hiccups further down the road. You will need to add and verify both sites in Google Webmaster Tools to take advantage of Google’s Change of Address feature. Make sure to do it in the same Google account. Confirm that you have administrator access to the site in Google Analytics. If you don’t have the right permissions you won’t be able to update the old website information to the new one. Confirm that you have access to the hosting for both the old and new websites. You’ll also want to make sure that you’ll have the ability to host both the old and the new websites for the foreseeable future. Same with the old domain – you’ll want to register it for as long as possible in order to maintain control of it for years to come. Your new website should be live and fully functional – but blocked from search engines for the time being. This is especially important to avoid duplicate content issues if the pages are mostly the same as the old site. You can do this easily with the Robots.txt file. Last but not least, make sure to backup your old site. It never hurts to be safe. Traffic – Break it down by channels like organic, referral, direct, etc. Rankings – Document positioning for 20-30 of your most important keywords – including both the new and old brand names. Links – Pull a list of all your back links – the sites that link to yours. To ensure good user experience and keep search engines happy, you should redirect every page from your old site to the most relevant page of the new site. If the two sites have the same page and URL structure this step is a piece of cake. Things get a little more complicated if the pages and URL structure between the two sites are different. Including this information not only helps search engines connect the two sites but also clears confusion for returning visitors. Spread the word that you have changed, this further reduces risk of confusion for returning visitors and can be accomplished via email, press release, social media and PPC. Searchengineland is a great website offering advice and articles to website owners and webmasters about all the latest developments, problems and opportunities to promote your website through organic search (SEO) or using Search Marketing (SEM).